With it being so close to summer, and also feeling a bit like summer, I thought we'd take a visit to the seashore with the new "Seaside Shore" stamp set and "By the Shore" Designer Series Paper. And how better than with a shaker card? These are so fun. 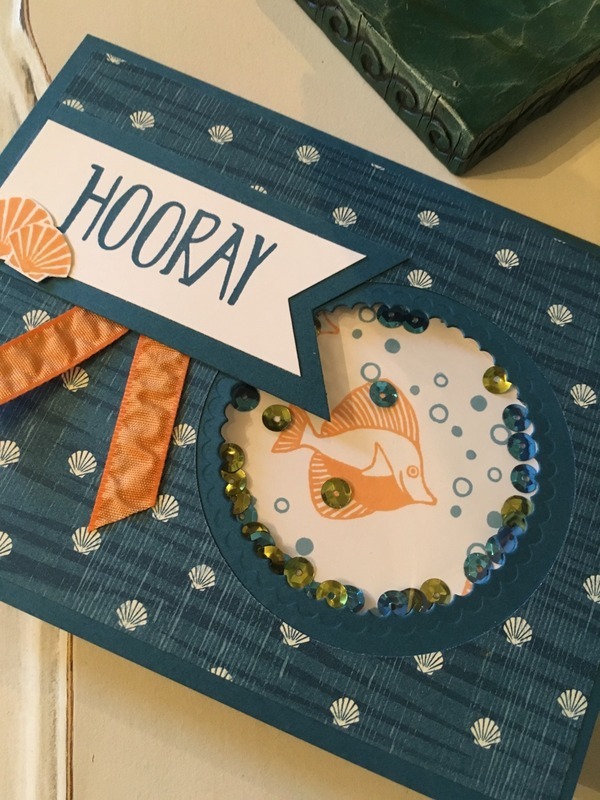 I used 2 of our new In Colors, Peekaboo Peach and Dapper Denim to set the color scheme, and picked green and blue sequins out of the Brights Sequin Assortment. 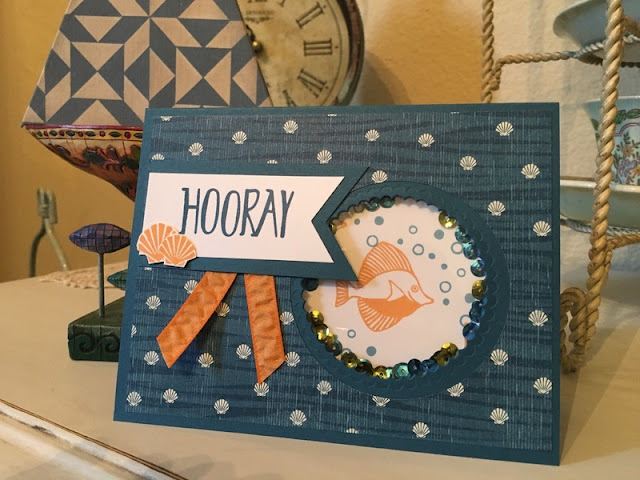 I used the Hooray stamp from the new stamp set "Perfectly Wrapped". I live in Boise, Idaho, now, but the majority of my family still live on the Oregon Coast. It's lovely there, and "home" to me, so whenever I get the chance to make something beachy, it makes me feel happy. There's everything to love about this stamp set too, as you can clearly see, and with the coordinating Designer Series Paper it is so adorable. I will be making more projects from this set! Don't the sequins look a bit like bubbles?